The bad news: this sweet confection looks like a praline bomb went off on a graham cracker minefield. The good news: the outcome is extremely delicious. 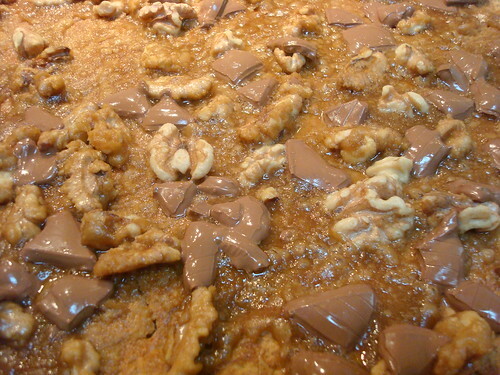 Pralines are a traditional Mexican sweet served to take the fire out of a hot Tex-Mex meal. These easy squares use graham crackers as a base for a praline taste without having to make the actual brown sugar candy. These sweet little squares truly are, as the recipe indicates, easy as can be--with a wonderful return. 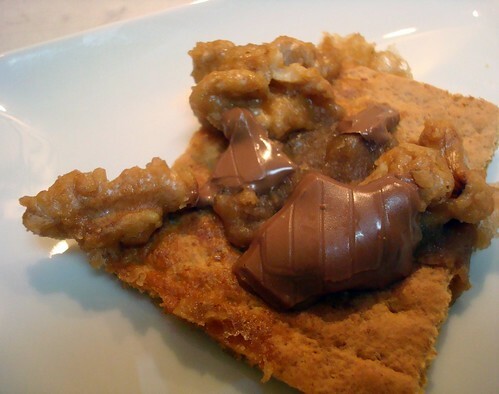 During the baking, the brown sugar/butter mixture seeps into the cracker, rendering it crunchy on the edges but slightly chewier inside, and the candy-coating gives the walnuts a completely addictive rich, savory-meets-sweet flavor. Adding milk chocolate, like we did, wasn't necessary, but it sure was good. while it is best known in our kitchens for giving more volume to beaten egg whites...it is also used to produce a creamier texture in sugary desserts such as candy and frosting, because it inhibits the formation of crystals. Break enough graham crackers into individual rectangles to cover the bottom of a 15x10x1-inch jelly roll pan. In a saucepan, bring brown sugar and butter to a boil. 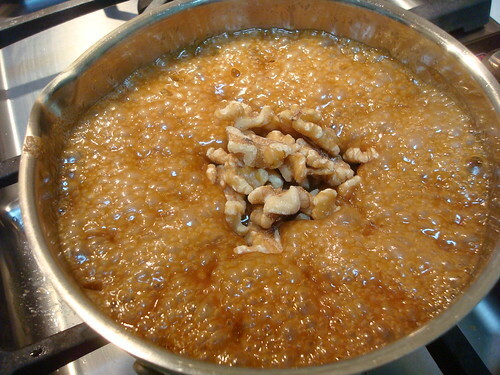 Add cream of tartar and walnuts (or pecans) to the boiling mixture. Pour over graham crackers and spread as evenly as you can (it's a pretty thick mixture so it's best if you only spread one way rather than going back and forth). Scatter the chocolate on top, if you've chosen to add it. Bake in a 325 degree F oven for 10-15 minutes, or until the chocolate has gotten melty and the sugar mixture is lightly bubbling. Remove from the pan while still warm.